One of the first steps of making health & fitness work for you and suit your lifestyle is to create your very own personal systems. Systemise meal planning so you only need to prep once, cook once and enjoy healthy & delicious meals all week long. This is how meal prepping makes the dream works. 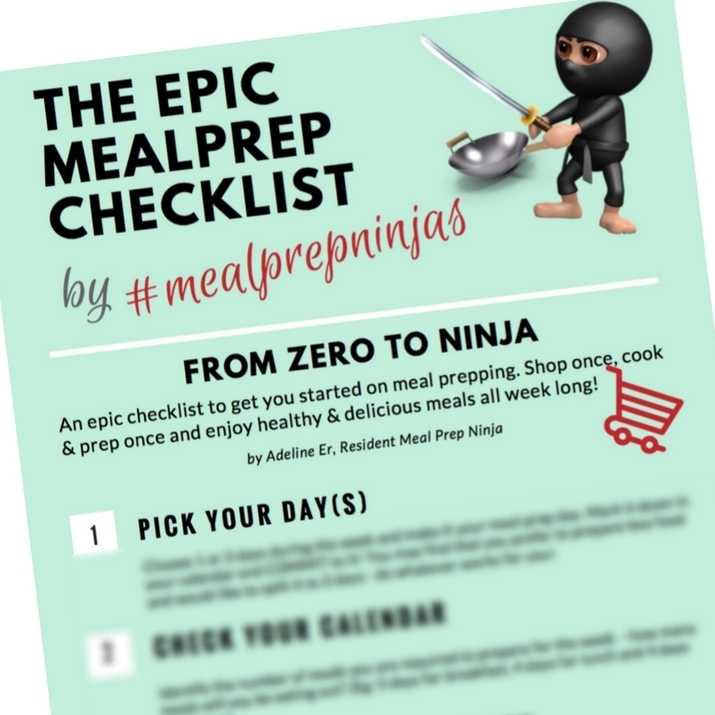 Download a copy of our FREE epic meal prep ninja checklist to get you from zero to ninja in the kitchen! DOWNLOAD MY FREE COPY PLEASE!